As part of Homecoming Scotland 2014, ‘Routes to Your North East Roots’ invites you to come home to your ancestral roots and the distinctive culture and heritage of the North East of Scotland. Over the course of the weekend there will be a family history and heritage fair with heritage organisations, museums, libraries, registrars and archives from across the region taking part. There will also be a lively programme of talks delivered by nationally and regionally recognised speakers taking place in the library of Haddo House. The unique traditional music and song of the North East, including Kintore Pipe Band, will be a prominent feature. There will also be a chance for visitors to sample and purchase fantastic locally produced food and drink from a diverse range of suppliers, as well as a display of locally produced arts and crafts.A full programme of events will follow soon. Visit www.northeastscotlandroots.com for further information and to find out more about tracing your family roots in the North East of Scotland. Please note that the event admission price is £3 for all over 16 visitors attending including NTS and NT members. Tours have been detailed in the opening times for that weekend and will run on a first come first served basis. You can now book to help us kick off the Homecoming 2014 weekend of activities at Haddo House on Friday 8th August. 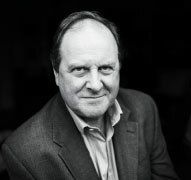 Our opening reception will feature talks by BBC Radio’s Jim Naughtie and Professor Marjory Harper of the University of Aberdeen. The reception and talks will be held in the library of Haddo House. Please book early to avoid disappointment! Tickets are £10.00 each, and can be booked online via the National Trust for Scotland.